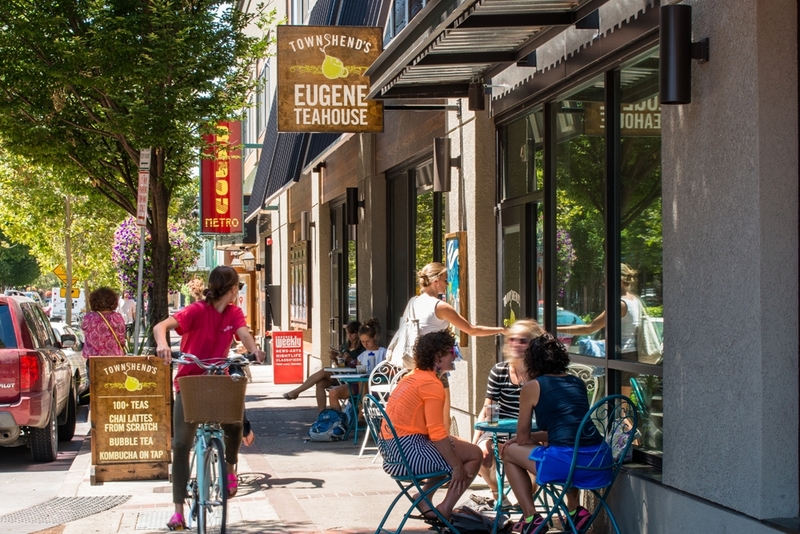 This adaptive reuse project by Master Development of Eugene transforms an existing building into a major mixed-use apartment and retail presence in downtown Eugene. The upper floor converted office space to 16 units of rental apartment housing includes two two-story loft apartments with two bedrooms and two baths each. 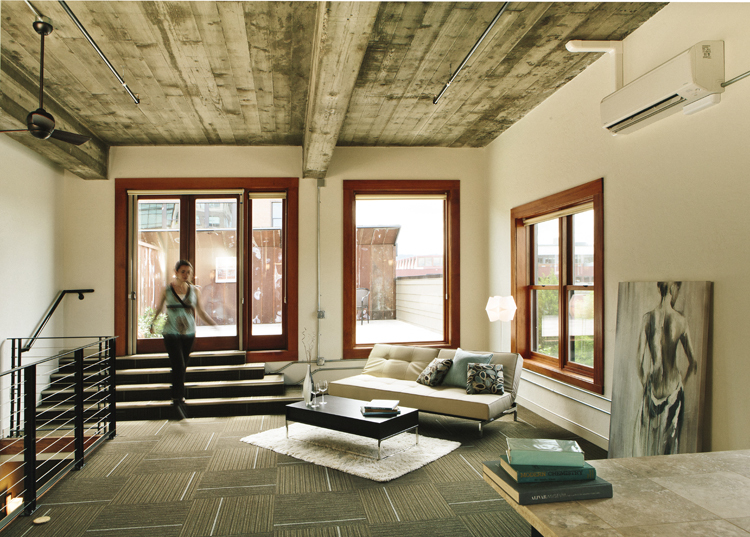 The rest of the second floor is a mix of studios, one and two-bedroom units, and includes some of Eugene’s first micro-studio units. 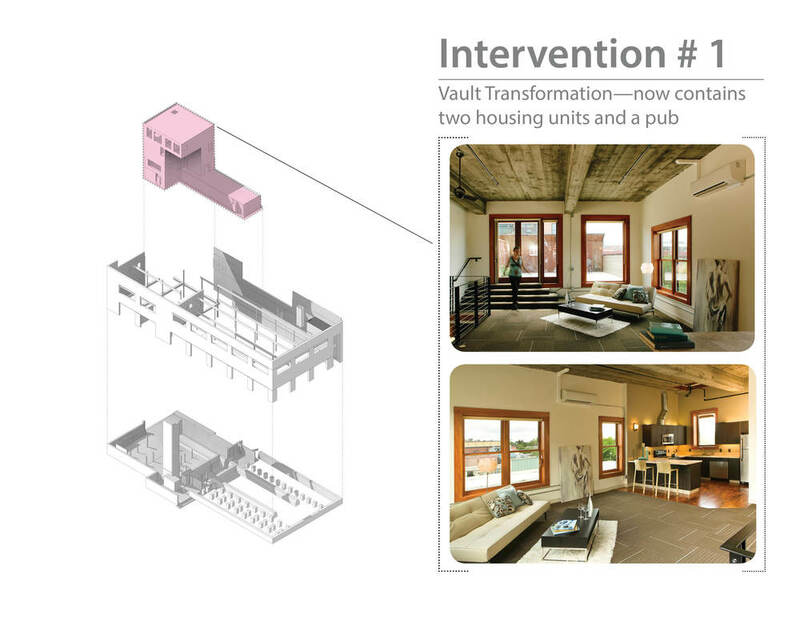 These smaller units have private patios, tall ceilings, and some have storage lofts. 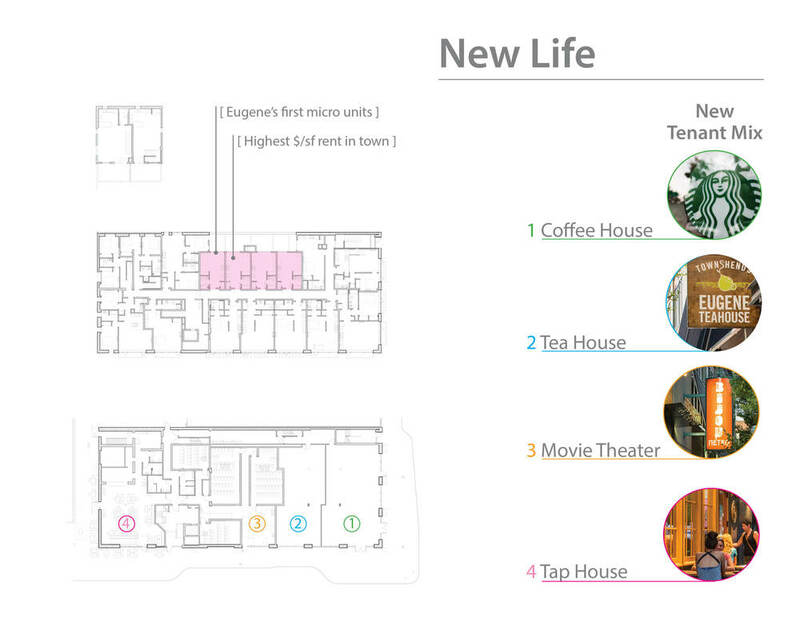 The smaller units are intended to make solo living in the center of downtown more affordable and expand the building’s tenant pool. 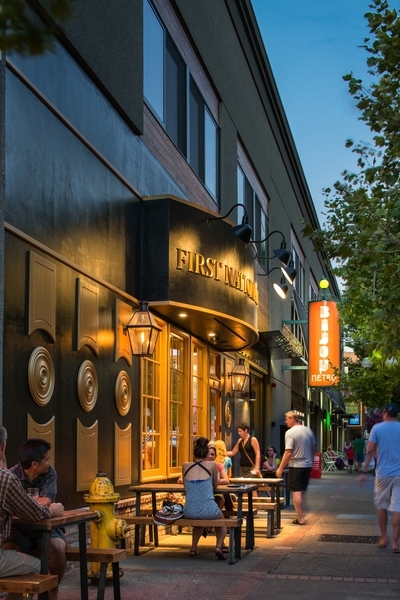 The retail level was outfitted for a major restaurant tenant on the corner, with other entertainment-oriented uses along Broadway, in what is becoming the restaurant and entertainment heart of Eugene. 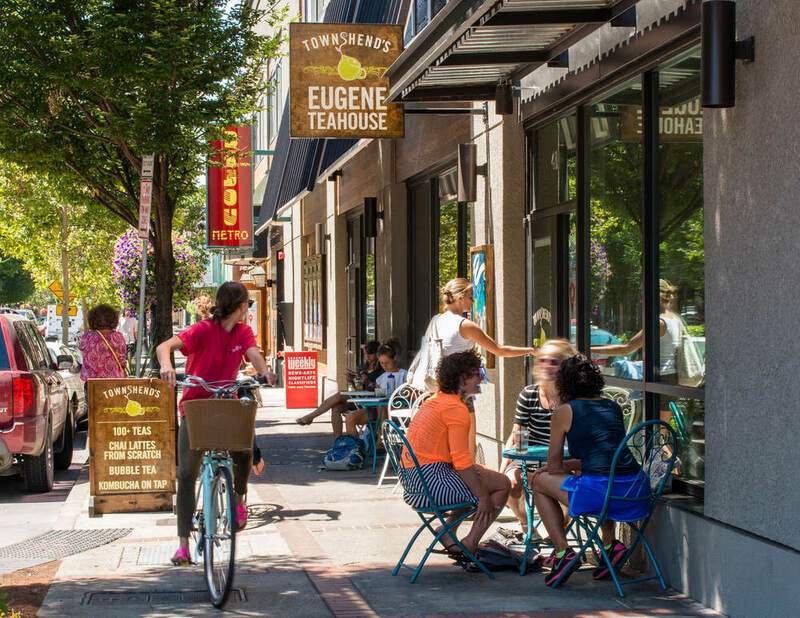 New ground-floor tenants include the First National Taphouse, the new Bijou Metro movie theater, Townshend's Tea House, and the Red Wagon Creamery. The skin on the building is an exterior insulated finish rain screen system with a stucco appearance, Ipe hardwood accents, and aluminum curtain wall storefront glazing with clear glass. 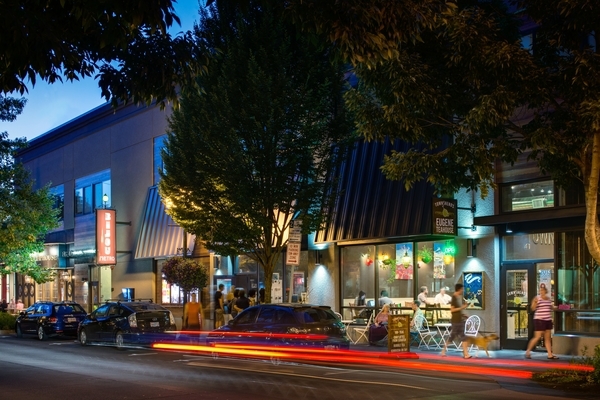 Steel horizontal canopies are found at the Broadway Willamette corner of the building, and metal roofed steep angled awnings shelter the remaining storefront windows, while strengthening the urban street edge, providing pedestrian shelter, and reinforcing the vertical bays of the building.